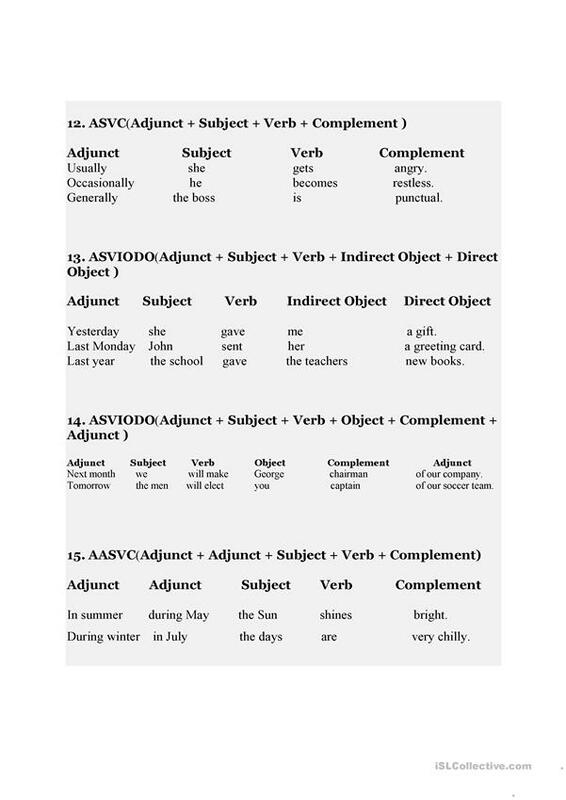 Adult students prefer to review basic info about sentence patterns in English. 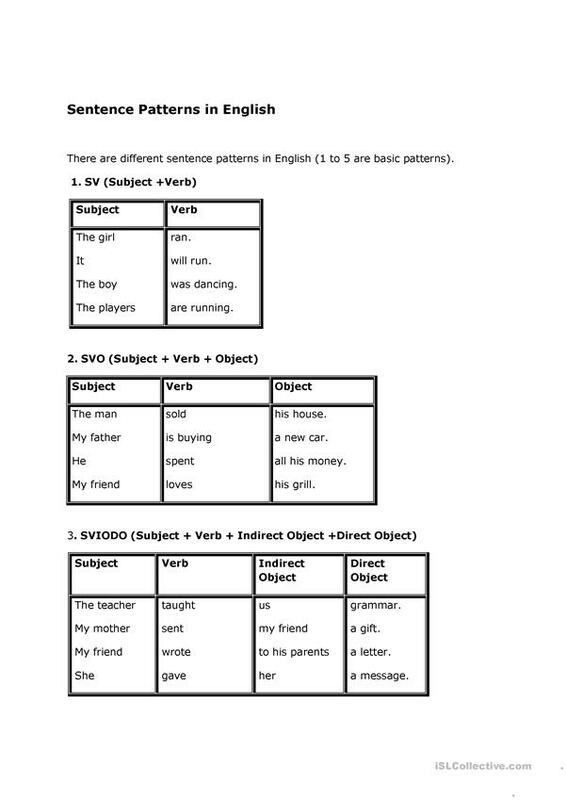 After teaching subject-verb agreement, I teach this lesson. 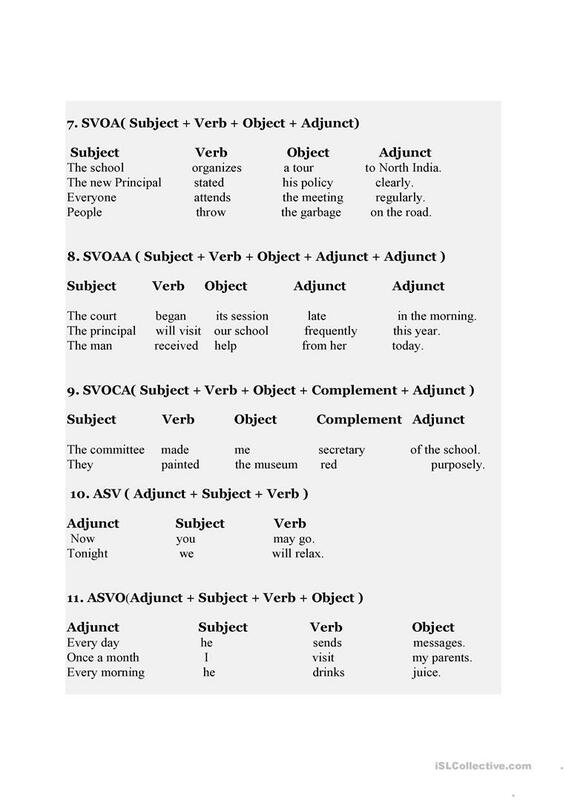 To this grammar guide, I add cut up sentence games or unscramble the sentences worksheets or continue my sentence game. 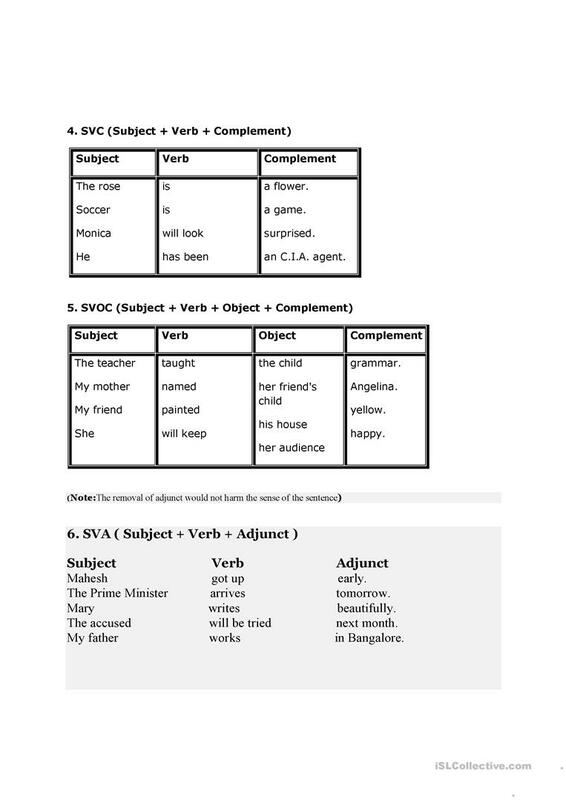 The present downloadable printable is best suited for adults at Elementary (A1), Pre-intermediate (A2), Intermediate (B1) and Upper-intermediate (B2) level. It can be used for developing your groups' Writing skills. simcos is from/lives in Canada and has been a member of iSLCollective since 2011-05-21 02:33:51. simcos last logged in on 2019-02-12 17:25:04, and has shared 4 resources on iSLCollective so far.